Precious metals futures soared in July. Sales weakened, however, for United States Mint American Eagle gold and silver bullion coins. 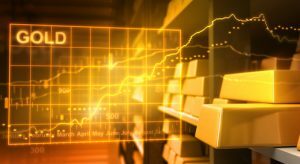 Precious metals futures advanced on last trading day in July, padding their gains for the week, month and first seven months of this year. Gold for December delivery on Friday tacked on $16.30, or 1.2%, to settle at $1,357.50 an ounce on the Comex division of the New York Mercantile Exchange. The settlement is the highest since July 8 when gold ended at $1,358.40 an ounce. The daily gain was attributed to a report from the U.S. Commerce Department which showed that the gross domestic product climbed just 1.2% in the second quarter after rising by a downwardly revised 0.8% in the first quarter. "You just saw the probability of a rate hike fall, and that’s being reflected in the dollar and gold right now," Bloomberg News quoted Tim Evans, the chief market strategist at Long Leaf Trading Group Inc. in Chicago. "If we see consistent numbers like we’re seeing this [Friday] morning with this GDP number, we can assume no hike is going to happen, and gold is going to respond favorably to that." "Nineteen analysts and traders took part in the Wall Street survey. Sixteen, or 84%, look for gold to rise next week. Two, or 11%, are bearish, while only one vote, or 5%, was neutral. Meanwhile, 1,008 Main Street participants submitted votes in an online survey. A total of 691 respondents, or 69%, said they were bullish for the week ahead, while 200, or 20%, were bearish. The neutral votes totaled 117, or 12%." Elsewhere in bullion trading, silver for September delivery gained 15.5 cents, or 0.8%, to settle at $20.347 an ounce. The close is the highest since July 13 when prices ended at $20.413 an ounce. Silver futures advanced 3.3% this week and logged a monthly increase of 9.3%. They are $6.54, or 47.7%, higher on the year. October platinum added $11.70, or 1%, to $1,150.60 an ounce, scoring gains of 5.7% for the week and 12.3% in July. Palladium for September delivery rose $11.10, or 1.6%, to $709.75 an ounce, jumping 3.5% from a week ago and soaring 18.8% on the month. Both metals are sharply higher on the year so far with platinum up 28.8% and palladium up 26.3%. Gold rose 25 cents, or less than 0.1%, to $1,342 an ounce. Silver tumbled 42 cents, or 2.1%, to $19.99 an ounce. Platinum declined $15, or 1.3%, $1,028 an ounce. Palladium added $5, or 0.7%, to $707 an ounce. Their weekly gains total 1.6% for gold, 1.5% for silver, 3.3% for platinum and 3.4% for palladium. Gains in July reached 1.6% for gold, 8.9% for silver, 12.9% for platinum and 20% for palladium. As for the year so far, their advances tally to 26.3% for gold, 44.7% for silver, 29.4% for platinum and 29.3% for palladium. American Eagle gold coins limped in at 38,500 ounces in July, down 47.6% from the June total of 73,500 ounces and off 77.4% from the 170,000 ounces delivered in July of last year. Year to date sales total 539,500 ounces for a 21.8% increase over the 443,000 ounces sold during the first seven months of 2015. American Buffalo gold coins climbed 10,000 ounces in July, falling 31% from June sales of 14,500 ounces and dropping 68.8% from the 32,000 ounces delivered in July 2015. Sales from January to July period at 122,500 ounces are 4.7% lower than the 128,500 ounces sold during the same time last year. The U.S. Mint last week ended it Silver Eagle rationing because of falling demand. The coins just registered their lowest weekly total of the year, rising by only 175,000. In July, their sales advanced 1,370,000 for the weakest month since December 2013. They dropped 51.7% from the prior month’s 2,837,500 coins and tumbled 75.2% from July of last year when sales hit 5,529,000 coins. Sales of 2016 American Silver Eagles are at 27,620,500 coins for a modest 1.1% increase over the 27,315,000 coins delivered through the first seven month of last year. America the Beautiful Five Ounce Silver Bullion Coins were muted in July after rising in June by 34,200 coins or 171,000 ounces. On Friday, the U.S. Mint announced that it would release the next coin in the series, which commemorates Theodore Roosevelt National Park in North Dakota, on Aug. 29.